GV is working with Westlake Reed Leskosky to implement a master plan for the redesign of this private school campus outside of Cleveland. 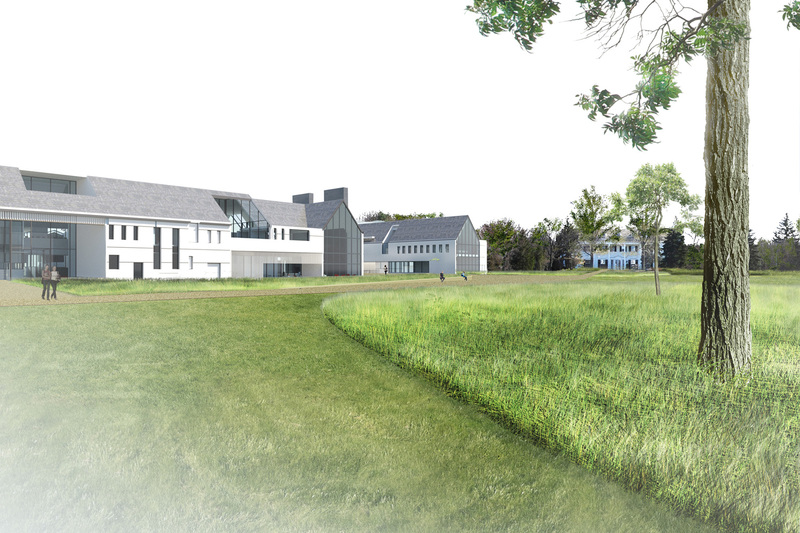 The school overlooks a twenty acre field that GV’s plan will gradually convert to native grass meadow. A new entry road is pulled away from buildings to create a campus uniquely unencumbered by vehicular infrastructure. Student drop-off will be moved to a new one-hundred tree orchard. Pedestrian paths cut through the meadow to connect campus buildings and frame views to woodlands beyond.